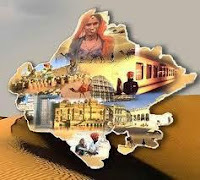 राजस्थान सामान्य ज्ञान प्रश्नोत्तरी 201: Rajasthan General Knowledge Sample Question Paper with Collection 10 Question No. 3661 to 3670 for based on Motor Vehicle Sub Inspector Exam Paper 2014 for upcoming RAS, Rajasthan Police, REET, SI, Constable, Patwari and other state exams under GK Quiz in Rajasthan GK Sample Papers. You Can Download Motor Vehicle Sub Inspector Exam Paper 2014 Full Solved at Rajasthan GK Free Mobile App. 1942 के ' भारत छोड़ो आंदोलन ' में किस रियासत की प्रजामण्डल ने भाग नहीं लिया था ?